Marble is the new trend in apartment windowsills, and it’s not for the reason you might think. In fact, there are several reasons why, marble windowsills is the new wood for apartment complexes. Marble has long been a popular choice for a number of applications, from floor to tile walls to countertops and backsplashes. Marble windowsills have newly come into vogue because they can add a touch of class and elegance at a relatively low cost. They are durable and require little in the way of maintenance. Here are some reasons we’re seeing an increase in the number of marble windowsills in apartment complexes. The first explanation that probably comes to mind when you think about this new trend is that marble is luxurious. The heavy, yet smooth stone with its distinctive veining just screams opulence and elegance. Using marble for windowsills is an indication that you’re in a high-end complex that spares no detail. Using marble for windowsills provides a luxurious detail that can increase the elegance of the entire room. Marble tiles or floors may be impractical for cost or safety reasons, but installing a marble windowsill provides the sumptuous look many designers seek at a price that is more reasonable than a larger marble installation. Marble offers a wide variety of color choices, ranging from nearly white to every shade of beige, pink, rose, and even green. The naturally occurring veining offers an additional color interest, adding touches of black, grey, green or blue to a more neutral background color. A marble windowsill can subtly blend into the background of the décor with a neutral background and veining that picks up the accent color in a room. Or, a contrasting marble windowsill can provide a splash of color that’s unexpected and playful. Either way, the addition of marble as a windowsill can change the tenor of the entire room. No two pieces of marble are exactly alike, making it an attractive choice for those with a preference for the unique. The natural beauty of marble is unmistakable, and it can make a windowsill a notable design point in the room. Marble is one of the most durable materials available. Marble statues and buildings that were constructed thousands of years ago still stand today. Made from limestone that has been heated and compressed for hundreds, if not thousands of years, marble is nearly indestructible. Over thousands of years its surface may wear slightly, but otherwise the only threat to marble is breakage which is unlikely. When marble windowsills are installed in an apartment complex, it’s unlikely they’ll ever need to be replaced. One of the biggest issues with wooden windowsills is rot. If a window is left open and rain gets in, it can easily rot a wooden sill. Especially in apartments, whose occupants may be less diligent about repairs than homeowners. Rot is often not addressed until it is too late. A rotting wood windowsill will need to be replaced, and may even necessitate replacement of the entire window. This is inconvenient for the tenant and costly for the building owner. With marble windowsills, it’s an non-issue. Natural marble requires very little maintenance by the consumer, and cultured marble requires even less. Natural marble needs to be sealed every year or so in order to keep it impervious from dust and water. 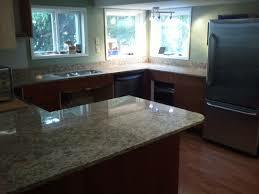 Cultured marble does not require any sealant, as it includes resins that protect the marble’s surface. Wood windowsills require frequent painting, and eventually the layers of paint will build up if they are not stripped first. This adds up to a lot of maintenance, particularly if the windowsill has any decorative detail. A marble windowsill never requires painting and, with a little sealant, will always looks sleek and clean. Marble can be cleaned easily using a damp cloth. Water and dirt cannot do any permanent damage, as they can to wood. When you lift that plant pot off your marble windowsill, the ring you may see can be quickly wiped away, unlike a wood sill that may need refinishing if it’s been in prolonged contact with water and dirt. Design elements and materials go in and out of style quickly. This can have the unfortunate impact of dating an apartment complex prematurely, which can cause a property to lose prospective tenants to newer complexes. Marble is a timeless material that never goes out of style. Its cool, sleek, polished elegance has been ‘in’ for centuries, and continues to exude elegance. Trendy materials may come and go, but marble will always be in style. Luxury, durability, low maintenance, and a timeless appearance are all good reasons why we are seeing more and more apartment complexes using marble windowsills. The bottom line is that marble provides a feeling of opulence that simply cannot be matched by any other material. Its cool sophistication and timeless beauty makes it a design element that becomes the focus of any room. Whether you are building or designing a new apartment complex, or renovating an elegant home, marble windowsills make a statement like no other. See the wide selection of marble windowsills from Stonexchange. Call us today to learn about wholesale distributing opportunities today a 305-731-2400. You can even reach us through our online form to inquire about any discounts and other products we offer.